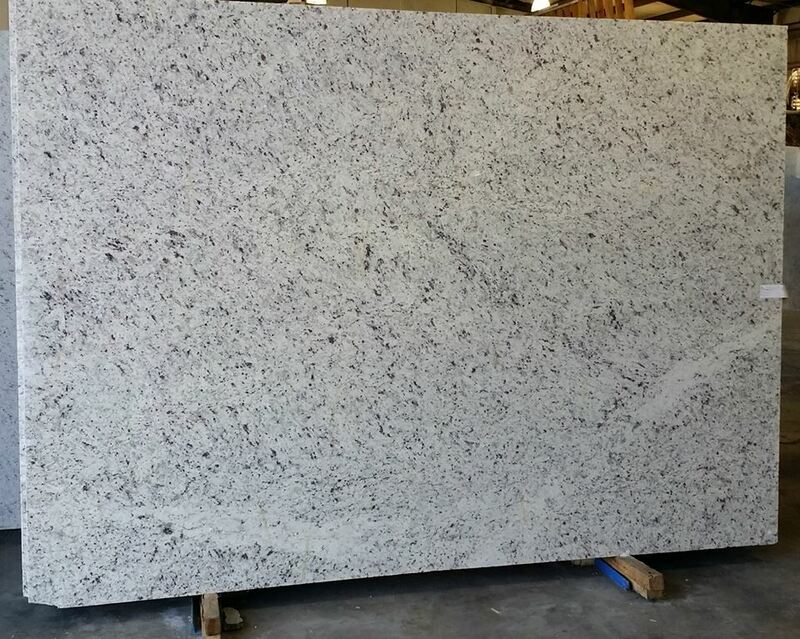 Ornamental Light granite is quarried in Brazil. It is a cream/beige stone with gold tones. It has a medium amount of variation mostly with the amount of brown minerals and the color of the bedrock. Some slabs seem golden, while others can have a creamy look. From a distance you won’t see large veins or large mineral deposits. When you get close to the stone you realize the bedrock is actually white. It can vary in color from white to a light grey. Dotted throughout the stone are dark brown minerals that may appear black. There can be a few scattered throughout the slab or with an abundant amount. You will also see light grey quartz throughout the stone as well. The grey can vary from a light grey to a medium grey. The brown minerals also give the overall tone of the stone a golden hue. Ornamental Light granite doesn’t vary a lot with different lighting conditions. When you combine this granite with dark kitchen cabinets there is a slight, soft contrast between the cabinets and countertops. The darker minerals and the creamy look allow them to blend. With white cabinets the effect is much more flowing and elegant than with dark cabinets. With lighter cabinets the stone will look darker in comparison to dark cabinets, but not too dark. When combined with wooden cabinets that have a light or medium stain, the golden tones merge for a very natural flow.